Just recently we saw modder Bunny release the hilariously bad voice acting from the original Resident Evil back into Resident Evil HD Remastered. Inspired by this release, another modder known as ZombieAli has been working on adding the original models that were used in the PlayStation version. 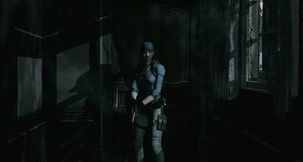 An intrepid modder has gone out of their way to take all of the voice files from the original release of Resident Evil and create a new mod for the HD remake that uses all of the original laughably terrible voice acting. 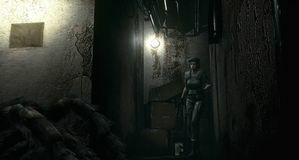 It has only recently been completed and released on a Resident Evil modding forum. Now that Capcom territories don't need everything signed off on by Capcom Japan, there's a buzz of excitement and optimism back among the various offices and studios. Capcom UK now has their "fate in our hands." They can start making better autonomous decisions, and the new Resident Evil: Revelations 2 is the publisher entering "uncharted territory" as it goes episodic with 'appetite strong' for the full boxed version. Capcom's release of Resident Evil HD Remaster is almost upon us with the release this Tuesday, January 20th. How does the Remaster stack up against the original? Join us tomorrow to find out! We'll be live streaming the game on our official GameWatcher Twitch channel this Monday @ 8.00pm GMT. Tune in to check out our investigation of some bizarre happenings at the Spencer Mansion in Raccoon City. 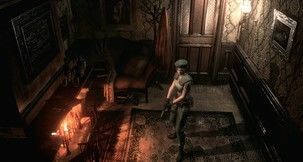 Capcom has revealed the minimum and recommended system requirements for the PC version of Resident Evil HD on Steam. You aren't going to need a high-end machine for this, unlike the system requirements that were revealed for The Witcher 3 earlier in the week, but then this is an HD remaster after all. The recommended requirements list a quad-core CPU with at least a NVIDIA GTX 560 or an AMD Radeon HD 6950 along with up to 4GB of RAM.